This is the perfect starter home in a great cul-de-sac neighborhood. Everything is sparkling clean with buffed up original hardwood floors. Light & Bright kitchen with white cabinets and built-in appliances including gas range, oven, and dishwasher. Kitchen is open to large dining room.Cozy fireplace in Living room, Ceiling fan in Master suite, covered patio with large yard for dogs to run and/or to plant fruit trees and your own personal garden.. 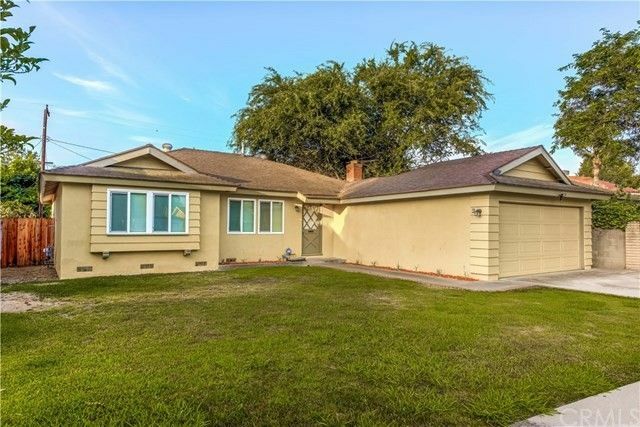 Double attached garage with electric garage door opener..This home is Located in the Orange Unified School District. Directions: South of 22Fwy on Grand, turn right on Santa Clara, turn right on Lincoln, turn left on Virginia.